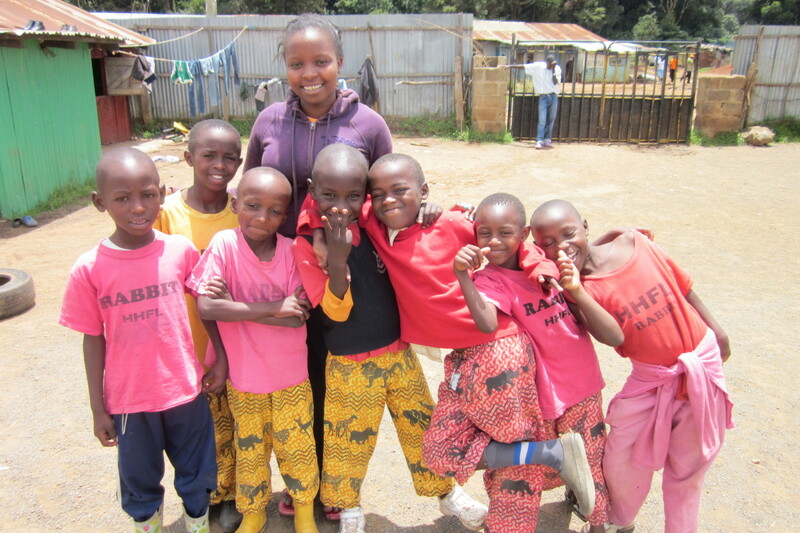 a community-based organization based in Nairobi’s Lenana slum. 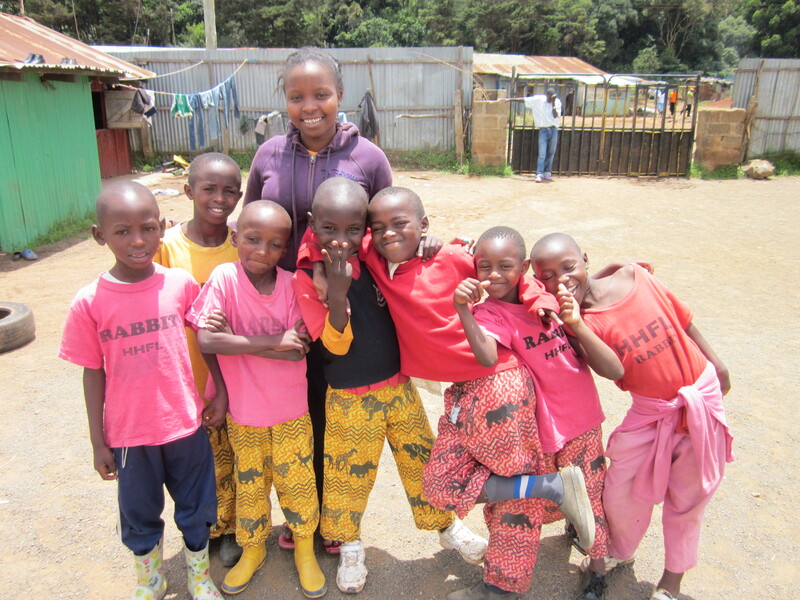 Hanne Howard Fund / Lenana (HHFL) is a Kenyan community-based organization that was established by Hanne Howard and Ted Horton in 2007 and is based in Lenana slum, Nairobi. HHFL is managed and run by locals living in the slum and has its own Kenyan Chairman and Board of Directors. With exclusive funding and hands-on support from HHF, HHFL sends 115 orphaned and vulnerable children and youth to school while providing them with a safe place to spend free time that is full of joy, compassionate care, positive messages and encouragement. The gated HHFL compound consists of a dirt field surrounded by 10 adjoining tin shacks that have been turned into a kitchen, dining hall, library, administrative office, girls and boys sleeping quarters and computer lab. The dirt field is used for playing sports and hosting extra curricular activities such as arts and crafts. Toilets and a water tank have also been installed. HHFL accepts the neediest of the needy into the program. Roughly 75% of HHFL’s children joined HHFL in 2006/7 during primary school years. There has not been an intake of new children since 2010. Upon joining the program, HHFL’s first job is to place them with a suitable family member or guardian. The majority live with single mothers, aunties, grandmothers, friends or guardians. HHFL makes regular home visits to ensure that the child is in a safe environment. The orphans who have no where to go live in the HHFL sleeping quarters. The next step is to ensure the child is enrolled in a good school and becomes healthy. The child is provided with daily meals and regular health checks at HHFL. HHFL also offers many wonderful after-school, weekend and holiday programs on the compound to help build life skills and foster personal growth in a safe and nurturing environment. Where possible, HHFL youth are expected to give back their time to help lead the activities and become good role models for their younger peers. HHF founders, Hanne and Ted, spend up to six months of every year, at their own expense, working directly with HHFL to supervise the programs and oversee the use of funds.